An innocent young man, Leo Campbell, finds himself wrongly targeted by a powerful mafia group. He confides in Detective Tom Shaw to help him find answers to why a bounty is on his life. Entertaining movie with a great story line! To tell you the truth, the whole reason I watched this movie was because Lana Parrilla stars in it. However, as soon as I started watching it, I was hooked! It had an excellent plot, great acting (esp. Lana, of course), and always had you wondering what would happen next. The second half of the movie was especially exciting and had me on the edge of my seat until the very end. And I was very happy with the ending as well! I'm not generally a fan of TV movies, but I definitely recommend this one! The ONLY bad thing about this movie is that it's not more readily available for people to buy. 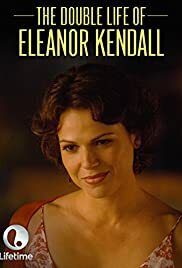 If you're a fan of Lana Parrilla, or enjoy a good drama/mystery/romance, you've got to check this one out.